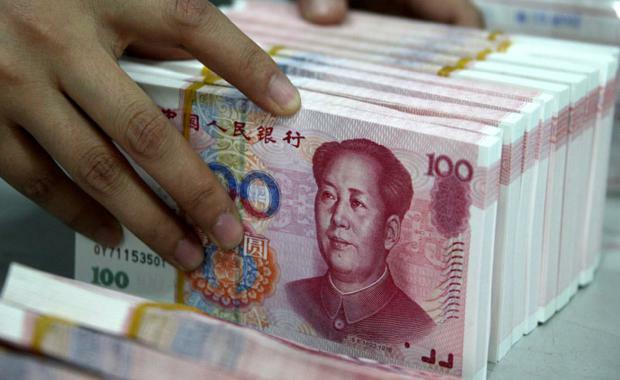 What Does The Yuan Devaluation Mean For Real Estate? The devaluation of the yuan could have far reaching implications for the Australian real estate, according to CBRE's Global Chief Economist Richard Barkham, PHD. 1) What happened to the yuan? Between 10 August and 15 August this year, the Chinese yuan devalued by 3.1 per cent against the U.S. dollar, the largest five-day movement between the two currencies in the last 10 years (Figure 1). Prior to this, beginning on 1 June 2010, the yuan had appreciated by 10 per cent against the dollar. The real effective exchange rate¹ actually appreciated by 25 per cent over this circa five-year period. The appreciation of the yuan was seen by China as a way to reduce its trade surplus and reliance on exporting low value-added manufactured products, as well as to boost the spending power of domestic consumers. 2) Why did the yuan fall? China bears have been quick to point to the slowdown in China’s export growth—in particular, the 8.3 per cent fall in exports in July (in dollar terms). Although it is not our view, many believe that this devaluation was prompted by economic weakness not revealed in official economic data. We also live in an era of competitive devaluation. Other nations that compete directly with China have also allowed their currencies to fall. For instance, the yen and the euro have both fallen by around 10 per cent against the dollar over the last year. Other, more technical factors may also be at work. The devaluation was brought about by the People’s Bank of China’s (PBOC) decision to tie the reference rate of the yuan to the previous day’s closing spot price. This change was chiefly designed to move the yuan towards hard currency status, as per International Monetary Fund requirements—a major objective of the PBOC—but also made Chinese exports a bit cheaper. Our view is that a fall on the order of 3 per cent in the value of the yuan will have a relatively small impact on export growth and that the technical reasons for the devaluation predominate. 3) What are the economic implications? This devaluation move is mildly deflationary for the economies of the OECD and strengthens the argument that U.S. interest rates will not be raised until 2016. However, we continue to believe that the U.S. Federal Reserve will gradually begin raising interest rates later this year. Chinese stock markets will probably remain jittery, particularly if there is further devaluation. However, on the plus side, even a relatively small fall in the yuan’s value will allow export growth to pick up a little, which will feed, via supply chains, into better growth elsewhere in Asia. China has approximately US$4.7 trillion² of savings. As restrictions on capital movements are gradually eased, these savings will be deployed into the accumulation of overseas financial assets, including real estate,³ irrespective of the yuan’s value relative to other major currencies. 4) What are the global real estate implications? The yuan’s mild devaluation points to interest rates and property yields remaining lower for longer, primarily because of the deflationary impact on OECD economies. Most of the econometric evidence suggests that currency plays a very small role in transnational real estate investment. We do not believe that this devaluation will materially impact the flow of capital from China into OECD real estate markets. If this small move towards a more market-driven currency contributes to a further loosening of capital controls, then the move will be unequivocally positive for real estate values in Western countries(4). 5) What about cross-border real estate capital flows in and out of China? Chinese cross-border capital outflows into commercial real estate have grown rapidly, reaching US$11.7 billion last year (5). Halfway through 2015, its global real estate investment totalled US$6.6 billion, up 19.7 per cent on the same period last year (6). The size of the savings pool in China and the imperative for Chinese institutions to build up more diversified portfolios is too great for a devaluation of the yuan to impact the flow of capital from China into world real estate markets, even if it reaches up to 8 per cent, as some expect. On inbound investment, it is possible that overseas funds might look for an early exit as a result of this latest yuan depreciation. Moreover, new inbound capital flows may slacken whilst fears of further devaluation persist. However, these factors are unlikely to have a significant impact on Chinese property values. We estimate that foreign investors (excluding Hong Kong and Singapore developers, which tend to hold China-located assets for long-term investment purposes) account for less than 1 per cent of the total commercial property market in major Chinese cities. 1 Adjusted for inflation and against a broader basket of currencies. 2 World Development Indicators, World Bank, August 2015. 3 The IMF has estimated that the stock adjustment of Chinese assets abroad will be on the order of 10 per cent to 25 per cent of GDP. This is the equivalent of between 20 per cent and 50 per cent of Chinese savings. These are very large numbers and very wide estimates, but there can be little doubt that Chinese capital will continue to flow into western real estate markets. 4 Tamim Bayoumi and Franziska Ohnsorge, Do Inflows or Outflows Dominate? Global Implications of Capital Account Liberalisation in China, IMF Working Paper WP / 13 / 189, August 2013. 5 This figure does not include residential purchases by Chinese high net-worth individuals, which, according to The National Association of Realtors, amounted to US$28 billion in 2014. 6 CBRE Research, Real Capital Analytics, Q2 2015.